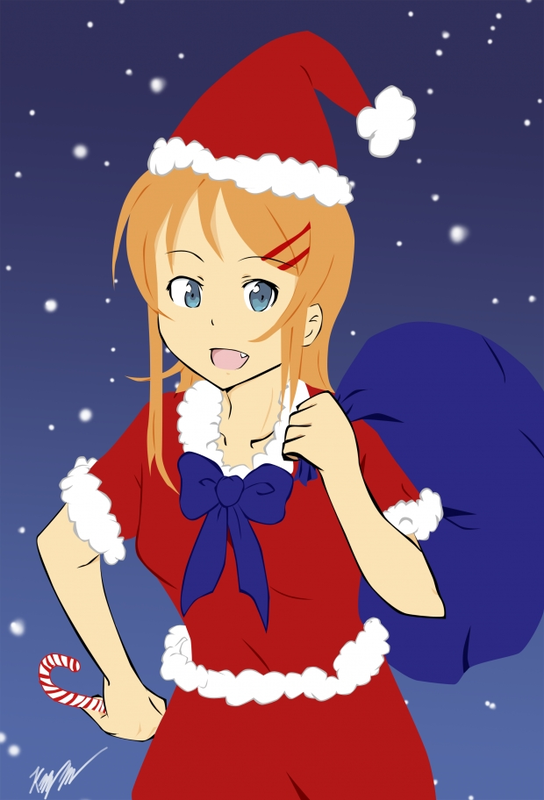 Angel Zakuro (Fan Art Portfolio) Santa Kirino. I scanned in my drawing (that's the original sketch), and then went to work with coloring. ;__; Why on earth I decided to vector it all...I don't know...but it took a long time. >>' And was very annoying. I wasn't totally consistent with the outlines, but I think it looks fine. XD Actually, I'm quite proud. I can't believe I drew this lol. But this took a lot out of me...hence my rare drawings lol. Still...I really like how it turned out. :] Stupid-looking candy cane and all.